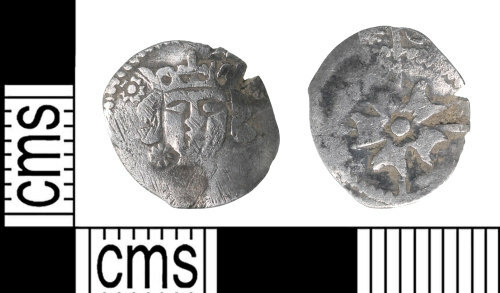 A worn and clipped medieval silver Irish penny of Edward IV (1461-1483), Suns and Roses/Rose on Cross coinage, c.1478-1483. Type II, Large rose type minted at Dublin, Spink (2003) no. 6396. Measurements: 13.31mm in diameter, 0.6mm thick and 0.48g in weight.